Lent Season is coming up soon and February is ready to kick off with its festive celebrations. Carnival, in fact, is just round the corner with its celebrations, parades and street parties. 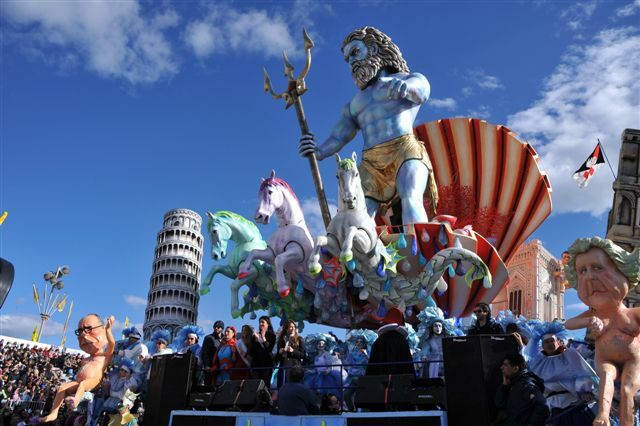 Amongst the most renowned carnival celebrations in both Italy and Europe is the Carnival of Viareggio, held on the Versilia Coast. 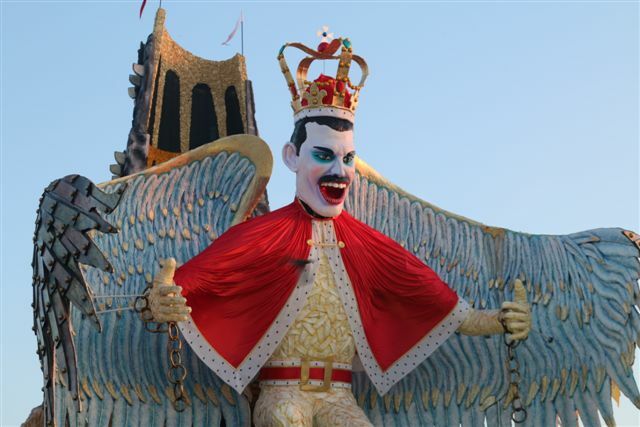 This month-long carnevale is characterized mainly by its parade of floats and masks depicting caricatures of popular people, such as politicians, showmen and (obviously) footballers. 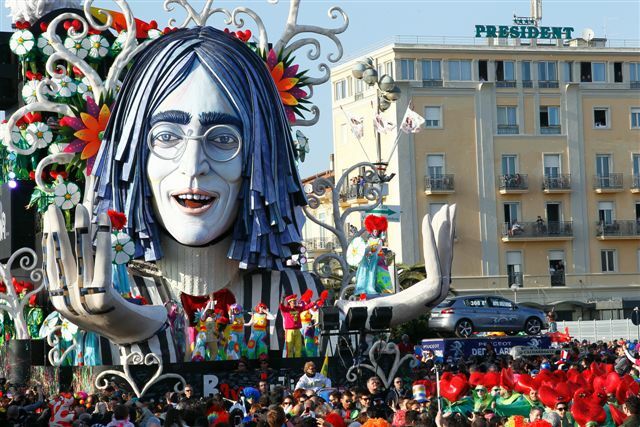 The parade is held along the well-known Viareggio promenade next to the local beach. The Carnival of Viareggio goes back to 1873, when the wealthy youngsters frequenting the Casino’s café decided to organize a parade, some say to protest against the many taxes they were forced to pay and for this reason they showed up wearing masks. Since then the carnival is accompanied by masked balls and costume parties. In the 1920s the “colour” masquerades were popular, during which the ladies had to wear a dress of the specified colour, while the gentlemen wore tuxedos and the decorations, confetti and streamers were of the colours required. Nightspots along the promenade like Principe di Piemonte, the Royal Hotel and the café chantant Margherita were the ideal venue for these types of parties and precisely in the latter began in 1932 the tradition of masked balls with “Eighteenth century face-powdered dances”. Today the masquerades are local parties held during the weekends by the various quarters on the seafront. These street parties are accompanied by music, masks and lots of fun. 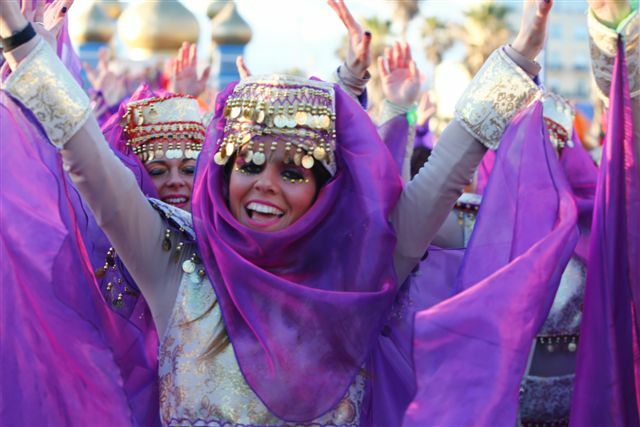 This year, 2016, the parades will be held on February 7th, 14th, 21st, 28th and March 5th. 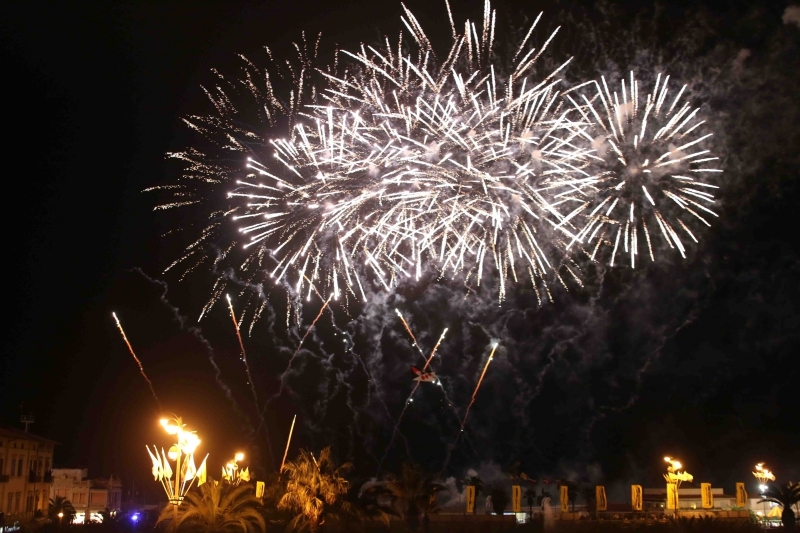 There will also be a firework show on the first two evenings and obviously on the last. 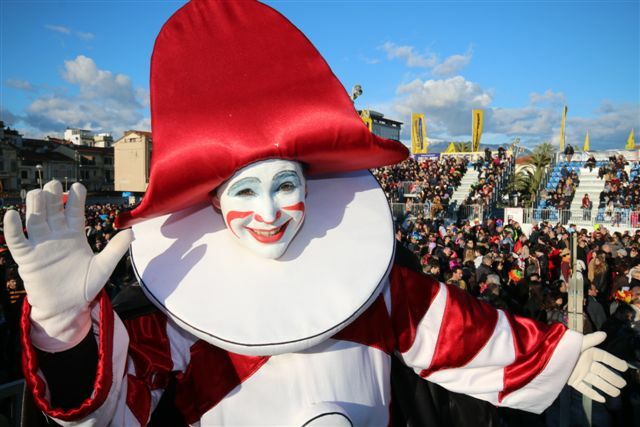 Questa voce è stata pubblicata in Culture in Tuscany, Events in Versilia, Lucca, Tuscan Coast, Tuscan lifestyle, Tuscany, Versilia e contrassegnata con Carnevale di Viareggio, carnival, Carnival of Viareggio, Viareggio. Contrassegna il permalink.